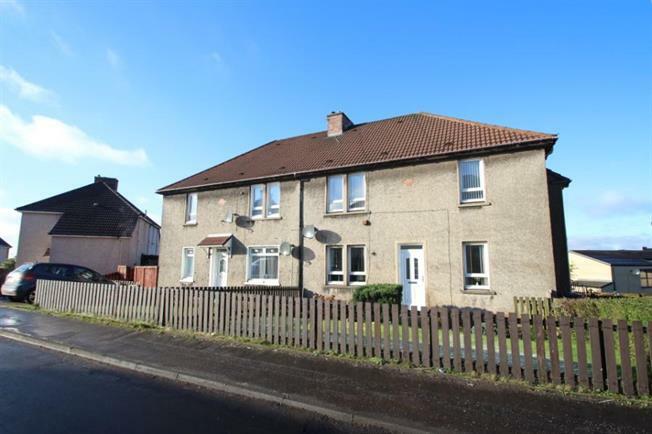 2 Bedroom Upper Floor Flat For Sale in Airdrie for Offers Over £62,500. SOLD SUBJECT TO CONTRACTLocated a short walk from all amenties of Airdrie Town Centre is this spacious upper cottage flat. The well presented accommodation on offer extends to entrance hallway lounge, modern kitchen, two double bedrooms and tiled showerroom.The property features gas central heating, double glazing and has a driveway to the side of the property. In addition there are private rear gardens. Airdrie has local shops, including Gartlea Retail Park, and schools at both primary and secondary level. The property affords quick access to Airdrie Train Station which provides direct access to both Glasgow and EDinburgh City Centres.